A couple weeks ago mentioned losses and damages I’ve experienced because I checked bags at the airport in my post on taking full advantage of your carry on liquids bag. Well, I’m sorry to say, I have also lost things from my carry on/personal item. During my day trip to Kaua’i, I “lost” my Kindle after a hold-up with the person in front of me at security left my bags out of my sight/control for too long. I didn’t realize the loss for a little bit, and it really wasn’t worth pursuing because my Kindle was very old. In its case in the outside pocket of my bag, I think someone thought it was a tablet and snagged it. I like to imagine their annoyance when they realized it was actually a first generation Kindle filled with fantasy novels and and historical seamanship manuals! I needed another Kindle in a hurry because I was about to take a pretty lengthy trip, so I ordered a factory refurbished one on Amazon with express shipping. I did not, however, order a new hard cover with express shipping. I was so spoiled by Amazon Prime shipping speeds on the Mainland, but in Hawaii the two day option costs extra, even with Prime. I didn’t want to set out with a totally unprotected Kindle, though, so I decided to make my own case! My case does not offer the same level of protection given by one of those hard back, book-like cases, but it does protect the device from scratches while in transport and that’s got to count for something! I think of it as being an envelope-style sleeve more than a true “case.” Honestly, I’m kind of enjoying not having the extra weight of the case to hold while I’m reading. 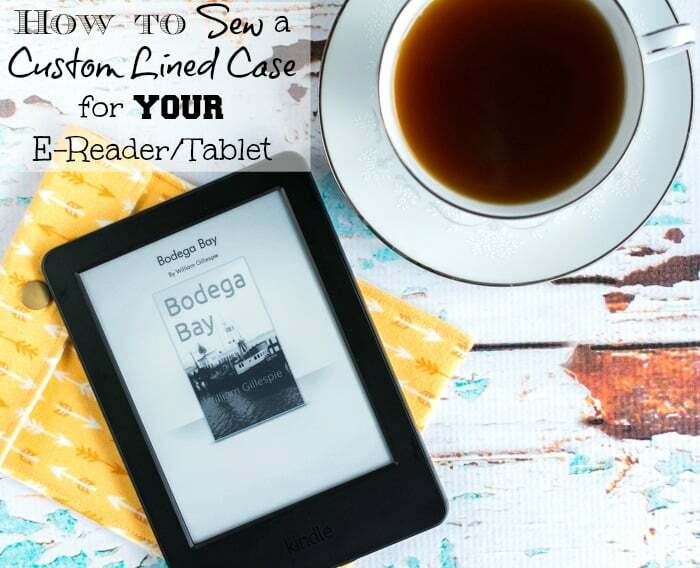 I made this case for my basic Kindle, but this sewing tutorial shows you the steps I used so you can adapt the project to make a case to fit your e-reader or tablet. I used flannel for the outside and inside of my case, but you can pretty much use whatever fabrics you’d like. I think flannel is a great choice, though, because it’s soft and kind on your device. You could use fleece for the inside, but it would make the case bulkier. This project involves lots of straight lines, so a rotary cutter is a great choice and a cutting mat is the perfect way to measure your device. If you don’t have a rotary cutter, that’s okay. 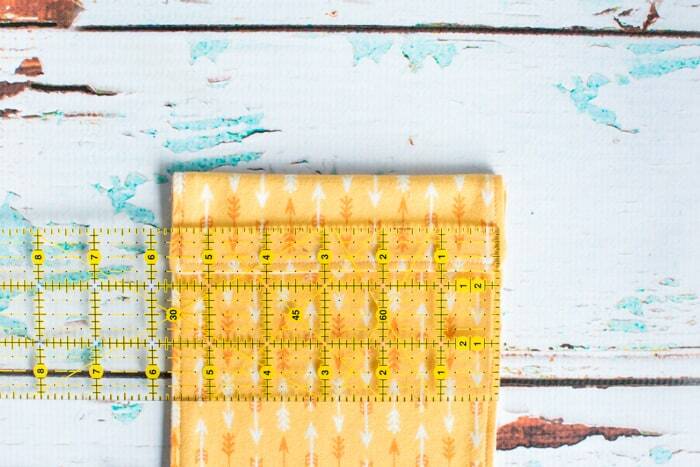 You can measure your device with a regular ruler and either mark out your “pattern” on the fabric or make your own paper pattern by measuring and cutting computer paper, pinning it to the fabric, and cutting with scissors like you would any other pattern. As a final note on materials I used – I really like my KAM snap tool. KAM snaps are perfect for this project because the plastic snaps are less likely to scratch up your device than metal ones! 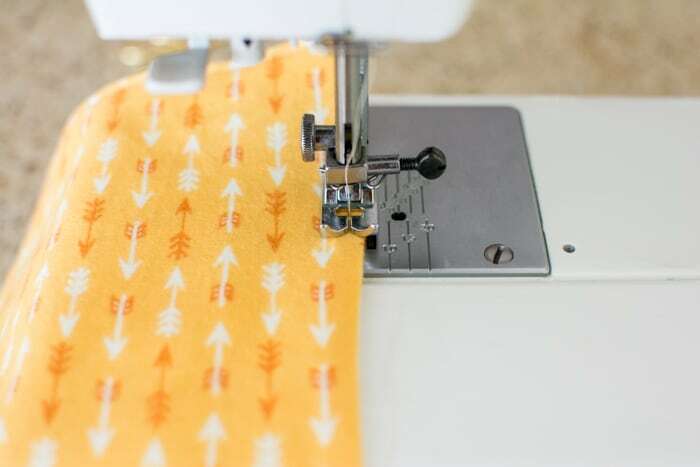 If you don’t want to worry with snaps, you can attach ribbons as ties, use a button, or even leave off the closure and simply tuck the flap in. It’s totally up to you. I love to iron when I’m sewing. 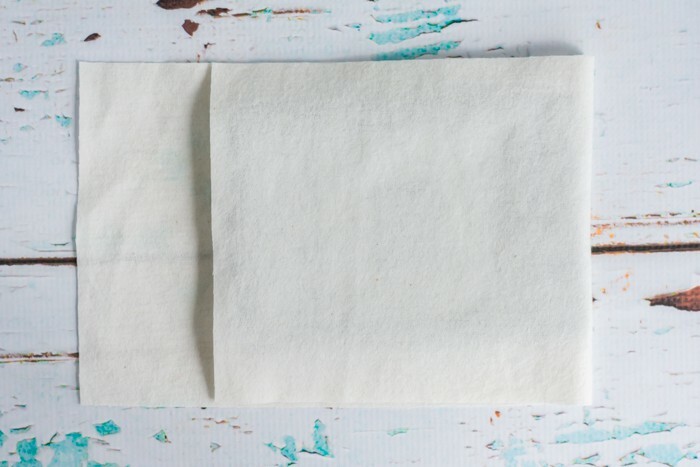 I iron or press my fabric and project between almost every step. It may seem like overkill, but it really helps insure crisp results! When working with flannel, pressing is better than “ironing.” Simply lift the iron to move it instead of sliding it along the fabric. 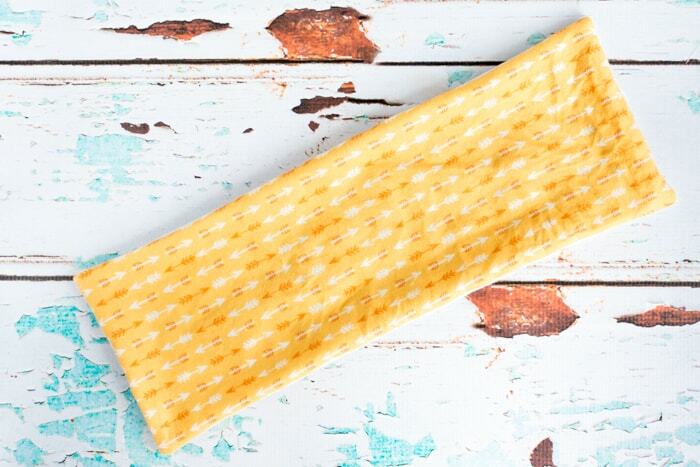 Sliding the iron can warp flannels out of shape. And, if you love ironing and need a laugh, you may want to Google “extreme ironing.” No, really. It’s funny stuff. 1. Figure out how big your device is! I really recommend writing these measurements down because there will be some light math involved. 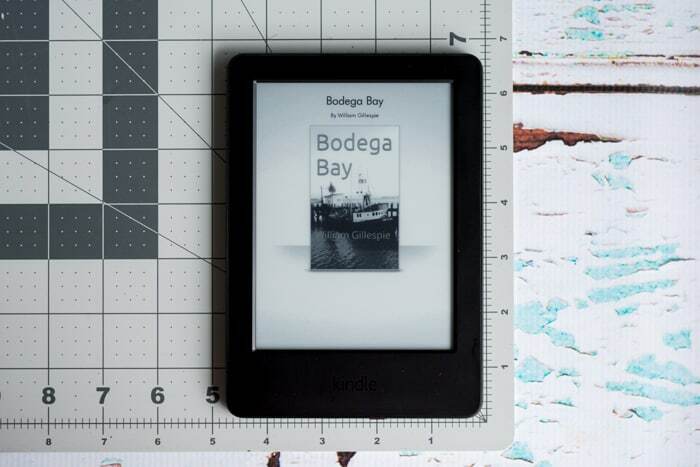 I placed my Kindle on my cutting mat and observed that it is about 4.75″ x 6.75″. Then I tilted it to find out it is roughly 1/4″ thick. My Kindle’s is 4.75″ and the thickness .25″. 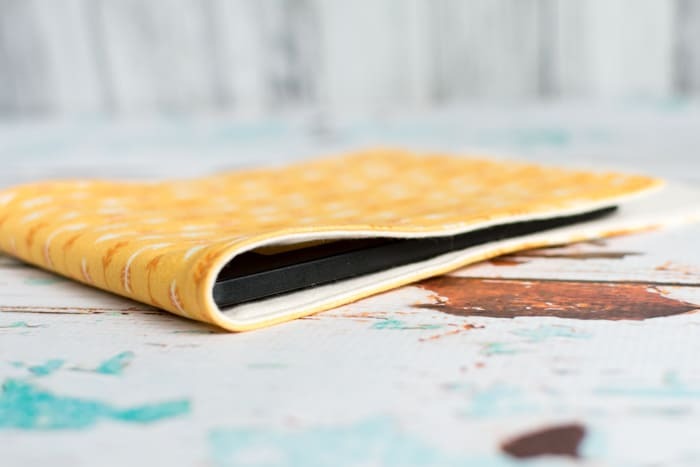 I wanted the case to fit more like a mitten than a glove, so I added the .25″ thickness to each side, giving me a needed fabric width of 5.25″. Because I wanted 5.25″ to be my finished width, I added seam allowances. At .25″ per side, that was an additional .5″ total. But wait! There’s more! The way I designed the case requires a bit of extra space in order to stitch the case together. I allowed an additional .25″ on each side for this, or .5″ total. That means my fabric actually needed to be 6.25″ wide (52.25 + .5 + .5) in order to fit the way I wanted. I went through the same process to figure the fabric’s height, only I also took the flap into account. 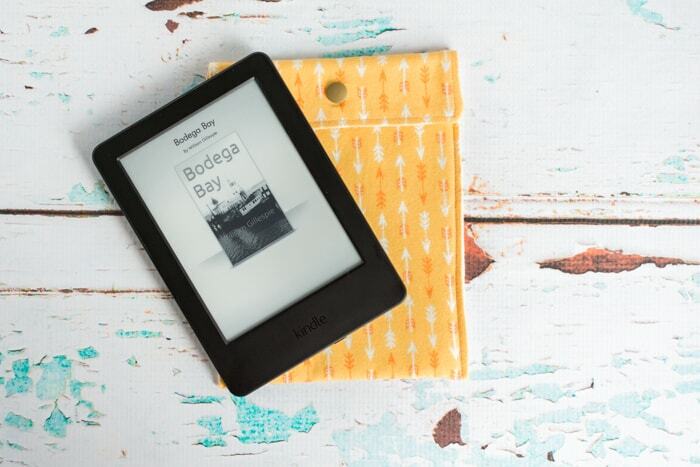 The Kindle’s height is 6.75″. I only added .25″ for the thickness at the bottom because I planned to a account for the device’s thickness on the open end in my allowance for the flap. 6/75 + .25 = 7″. Because the case is made envelope style with one continuous piece, I doubled this measurement to find the total length needed for the case’s body. 7″ x 2 = 14″. The 14″ did not account for the flap, so I added an extra 2″ total for the flap (not on each side). 14″ + 2″ = 16″. One last bit of math! The length needs seam allowances, too, plus enough for the top stitching. I added an inch, just like before. 16″ + 1″ = 17″. Woohoo! My finished pattern size was 6.25″ wide by 17″ long. This is very easy to cut with a rotary cutter. 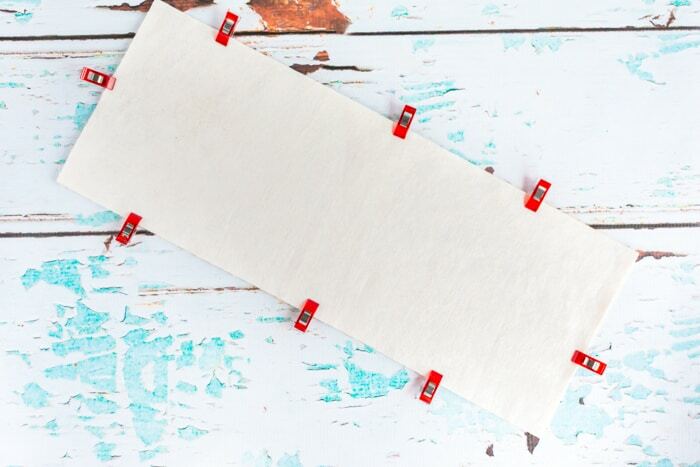 To make a paper pattern, either use a paper cutter or mark the measurements with a ruler. Simply cut one rectangle of paper to 6.25″x 11″ (the length of a regular sheet of printer paper in the US), then a second rectangle to 6.25″ x 6″ and tape the two together to make your pattern. 3. 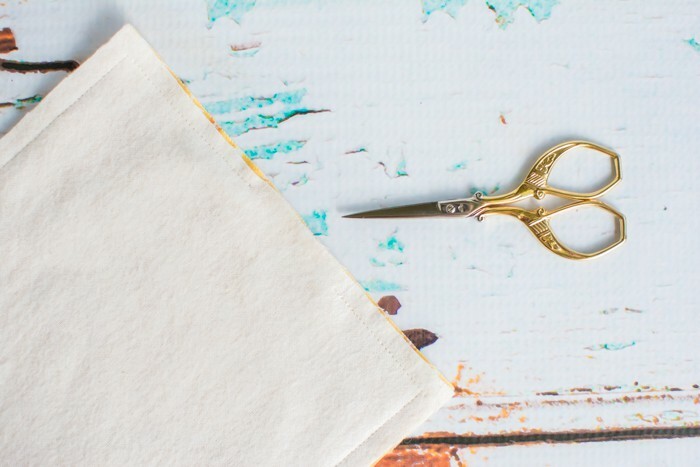 Now that you either have you paper pattern or know what size to cut your fabrics with your cutting mat and rotary cutter, go ahead and cut one piece out. Fold it over your device in the same manner as the finished case just to make sure everything looks on track before you continue on. 5. Line your two pieces up, right sides together, and pin or clip in place. 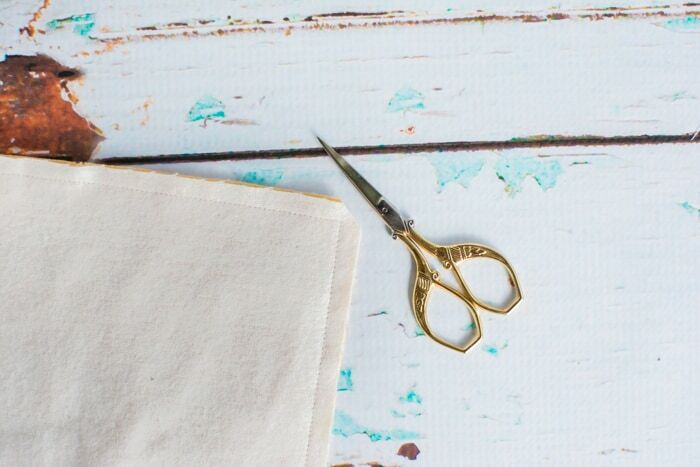 I always press my fabrics after cutting and before pinning to ensure they’re as perfect as possible before I stitch. 6. 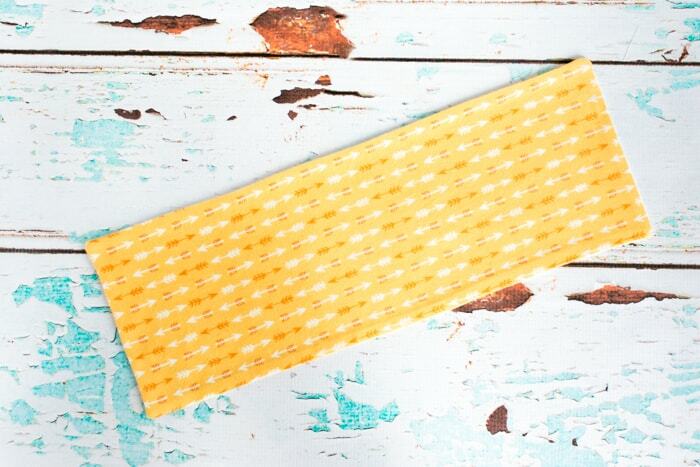 Stitch around the edges using a 1/4″ seam allowance. 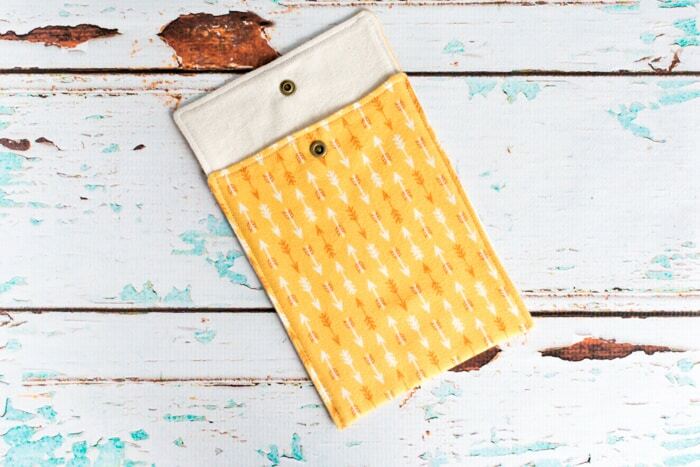 Make sure to leave about a 2″ gap in the stitching so you can turn the fabrics right side out. 7. Clip the corners, as shown, to reduce bulk. 8. Turn through the gap so the right sides are facing out. It’s all wrinkly and that’s no good! Press it carefully, making sure the edges are as lined up as possible. Also, press the would-be seam allowances in where your gap is to create an even edge. 10. Time for top stitching and closing up that gap! 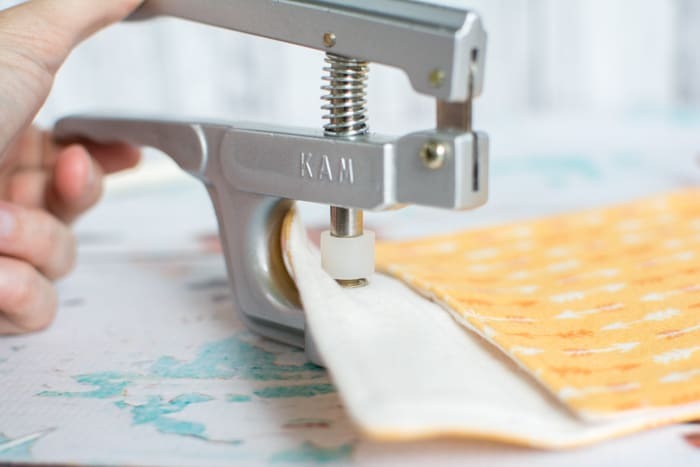 Stitch all the way around your fabric about 1/8″ from the edge. I line my fabric up with the inside edge of my right feed dog. 11. Get your your device to determine exactly where to place your bottom fold. 12. Press that fold in place, line the case’s long edges up, and pin/clip in place. 13. 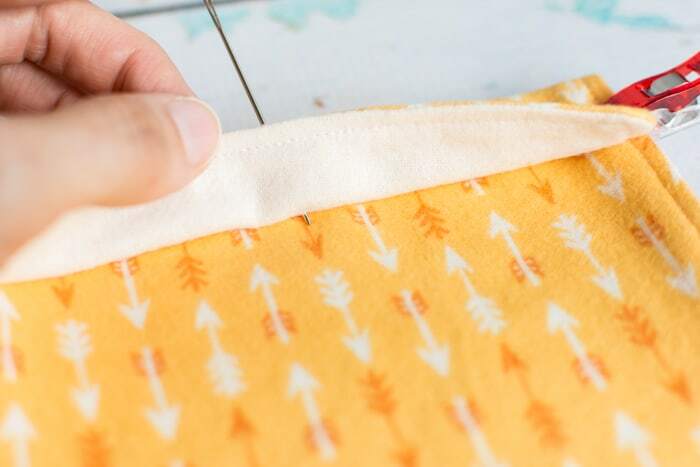 Carefully stitch the sides in place where they meet. Try to stitch over the existing stitches. 14. Fold the flap down and press in place. 15. Use your ruler to determine the horizontal center point of your flap. I also mostly centered my snap vertically, but that’s up to personal preference. 16. Using a small awl or large needle, poke through the flap and into the opposing spot on the case you’ll need to attach the other part of your snap. 17. Using these holes as your guide, attach your KAM snaps. Make sure the snaps are facing the correct direction so they’ll actually snap together! Removing mis-applied snaps isn’t that much fun. 18. Press your new case one more time if you’re a nerd, then enjoy it. I’m pretty excited about my awesome new Kindle case! Because my interior flannel is double nap and extra fluffy, I’m comfortable with the level of protection it gives my Kindle for daily use and transport. 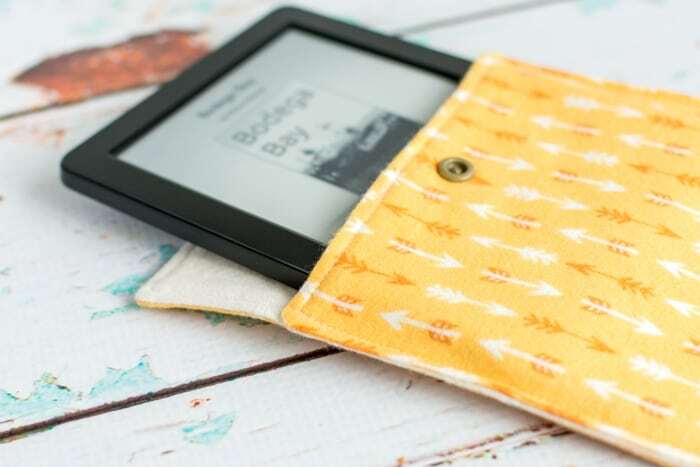 I also think the case is pretty darn cute, and it’s really easy to spot when I can’t remember exactly where I set my Kindle down after staying up too late reading the night before. So, I have to confess that I bring Kindle almost everywhere with me. If I think I’m going to be early for a meeting or don’t want to be bored before the previews at the movie theater, I’ll bring my Kindle! Does anyone else bring their e-reader everywhere? What’s the “strangest” place you’ve ever whipped out a book and started reading? great tutorial! Now I just need a Kindle to go with it! 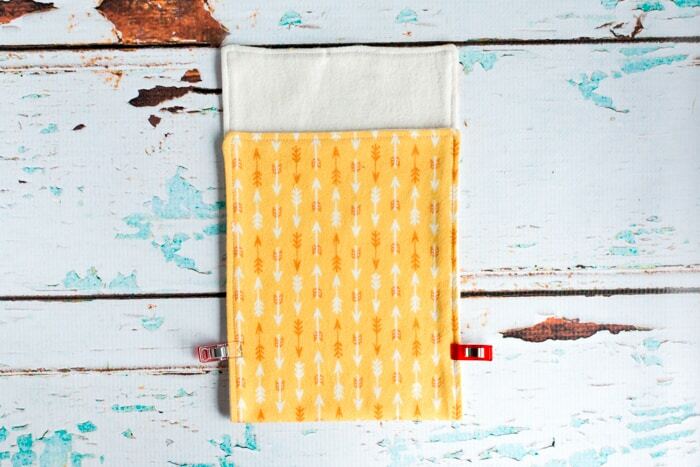 How awful that someone stole your Kindle, and under those circumstances. I’ll have to be more vigilant about pushing my stuff through on the belt before the scanner is ready for me to walk through. I actually got luggage locks for my carry on after this incident. I honestly still prefer to read a paper book, but a Kindle is much more convenient for traveling and when you live in a small apartment. Hopefully one day we’ll be somewhere larger and I can collect real books again. I love my Kindle, too! My son and DIL got me a Kindle Fire HD7 last Christmas. Your case is so pretty. And I love the idea of a snap closure. Flannel would be a perfect lining. Now that’s a fancy one! I think our Kindles are at opposite ends of the technology spectrum.